When most people hear the term “Rodeo,” they picture cowboys atop bucking broncos, or ranchers roping bulls with lassos. But for linemen and their families, the word “Rodeo” evokes a completely different set of images –like a dummy being rescued from the top of a utility pole, or a lineman holding an egg in his mouth as he scales a pole as quickly as possible. 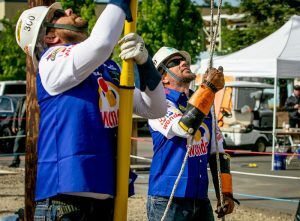 The annual IBEW 1245/PG&E West Coast Lineman’s Rodeo has been giving linemen the opportunity to show off these unique skills for decades. But in recent years, the Rodeo has evolved into a much more family-friendly event that’s part competition, part carnival. 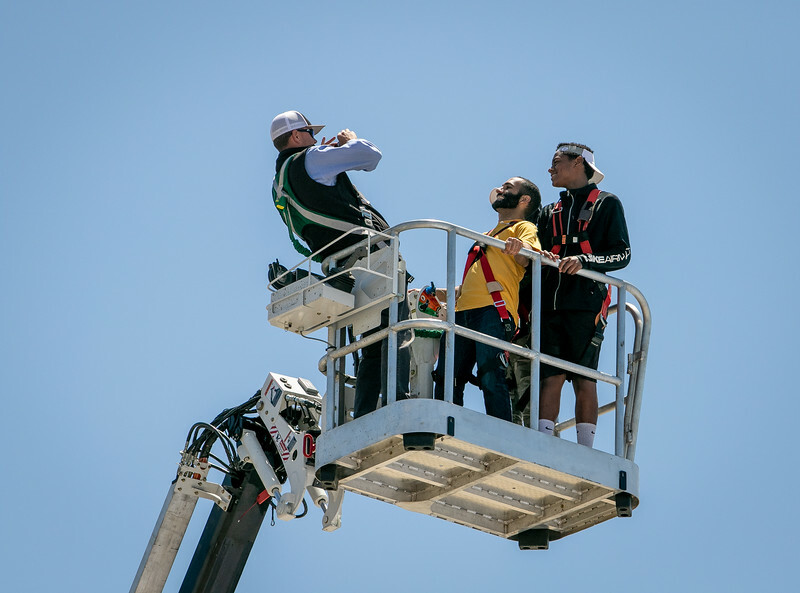 This year, the Rodeo planning team from IBEW 1245 and PG&E collaborated to take the event to new heights — both literally and figuratively — beginning with the flag ceremony. While the Rodeo has always kicked off with a lineman hanging an American flag on a pole, this year’s event incorporated a helicopter “long line” demo into the patriotic display. 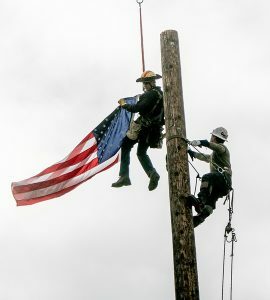 Instead of climbing the pole with the flag in hand, a lineman flew the flag in while suspended from a helicopter, and passed it off to another lineman, who hung the flag on the pole. It was a sight that few will soon forget. This year’s Rodeo also featured a much larger and more exciting activity area for the kids. 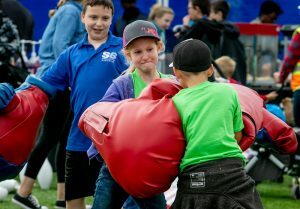 In addition to the climbing wall and snow cone booth that have been staples of the event during years past, the 2018 Rodeo also included candle-making, air-brush face painting, a green screen photo booth, cotton candy, a wide selection of yard games, a prize wheel, and bucket truck rides. While the competitors at the West Coast Lineman’s Rodeo mostly work at PG&E, there are an increasing number of journeyman teams from other utilities. 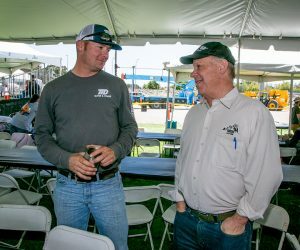 This year, the Rodeo welcomed linemen from Cupertino Electric, Rocky Mountain Power, Modesto Irrigation District, City of Roseville, SoCal Edison and Turlock Irrigation District. Josh Klikna is a seasoned Rodeo-goer from Turlock Irrigation District with an ample collection of trophies and plaques from him many wins. Last year, his team came in first in the municipal division at the International Lineman’s Rodeo, and they also placed third overall. 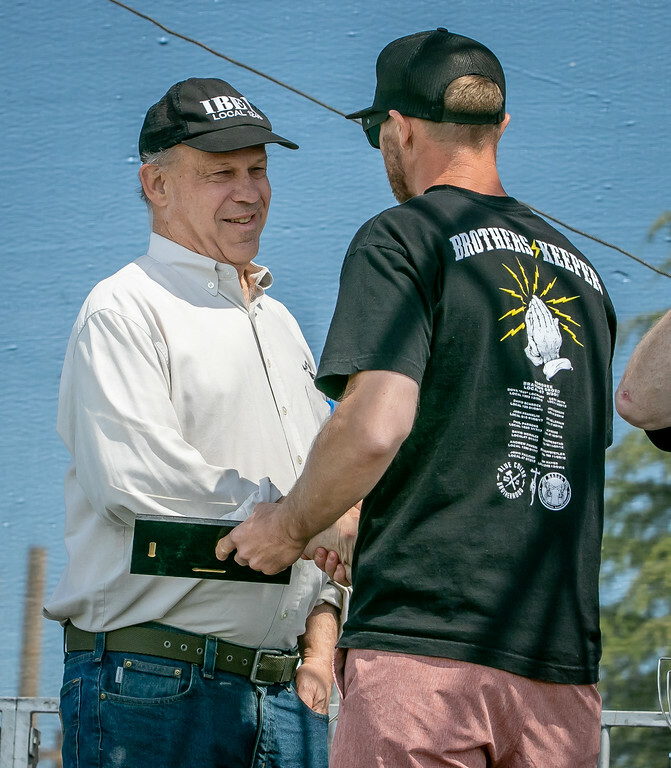 Fresh off a strong showing at the American Public Power Association Rodeo, where they placed fourth, Klikna and his teammates decided to participate in the West Coast Lineman’s Rodeo for the first time this year. 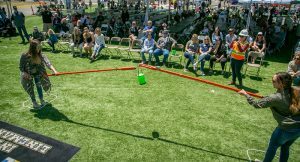 Another new addition to this year’s event was a good-natured competition for the wives and girlfriends of the linemen. The ladies were tasked with using a lineman’s tool called a shotgun to pass a full bucket of popcorn from person to person, without dropping a kernel or stepping outside the designated area. It was clear that the linemen enjoyed cheering on their significant others just as much as the ladies enjoy cheering on their linemen. 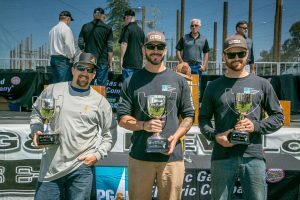 At the end of the action-packed day, the winners were announced, and few were surprised to see former International Champions Adam Beene, Anthony Albright and JP Richard take first place in the journeyman competition for the second year in a row. Apprentice Gino Brancato, who placed third overall last year, took home first place in the apprentice competition this year. A heartfelt congrats to all the journeymen and apprentices who will be advancing to the International Lineman’s Rodeo in Kansas City this fall!